This is an interesting topic on which we are regularly contacted. If you are suffering with a pest problem, from birds pulling out straws to mice in the attic, please don’t feel that you are alone. 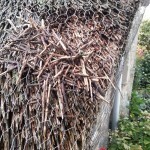 Thatch pests are animals, birds and insects. 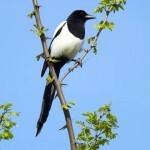 We know about birds attacking roofs, for example magpies, jays and jackdaws pulling out straws. How many times have we heard someone say – why my roof and not the one next door, they were both thatched at a similar time? Are the birds pulling out straw for nests, food in the form of insects and flies or just as a habit? For whatever reason, it can make a really mess. Don’t forget that birds like making nests in chimneys. This can be a problem, especially if a chimney which has been used in the winter has been left in the spring, then there is a cold snap, fire is lit and then there is a chimney fire. Always a good idea to check your chimney or get it swept especially at nesting time if it has not be swept for a while. Properties left empty and quiet often can be particular targets and suffer more from animal pests who enjoy the peace. However many animals now seem oblivious and completely unphased by humans and will carry on regardless, especially if the thatch is warm and dry during a wet windy winter. Squirrels can be a nuisance in thatch – entering via cables close to roofs and being very agile. 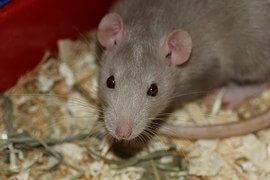 Rats and mice are another animal which we would definitely want to deter. They can devastate a roof so early dispatch is highly recommended. They chew straw and fixings, make obvious runs and their holes can be easily spotted. Roofs, especially those with straw (and ridges) are often netted to deter them but they can also enter from wall spaces, via attics etc. Insects such as spiders live in thatch and are only a pest if you are scared of them. We think they do a good job. 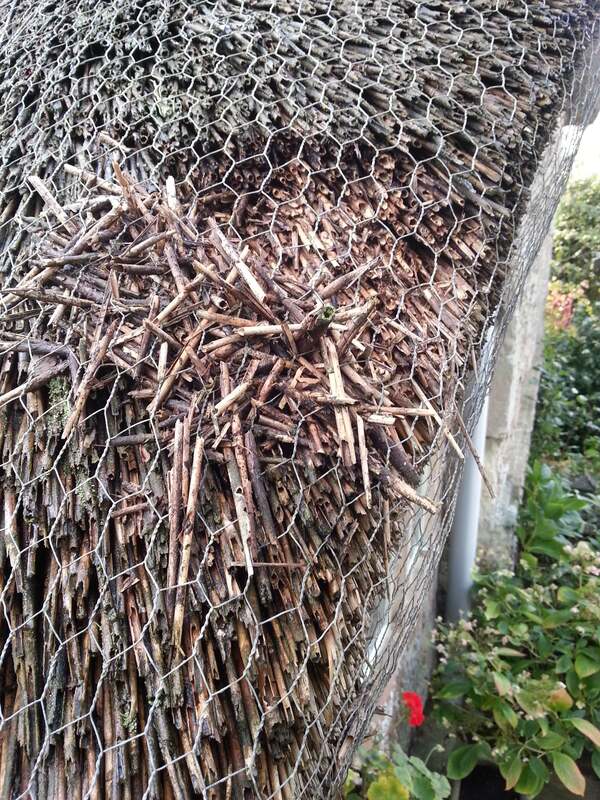 Book lice, mites, cockroaches and flies have also been associated with thatched roofs but these can also be attributed to disturbance of property and other factors but they still are pests which have had to be dealt with. Vermin such as rats and squirrels, should be removed as soon as possible as they can devastate a roof. It is important to understand how they got into the thatch so that they can be best dealt with. Pest control techniques include bait boxes, poison. 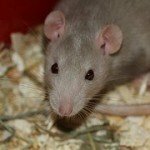 Sonic deterrents may be an option but ask an expert who can better understand each individual pest problem. 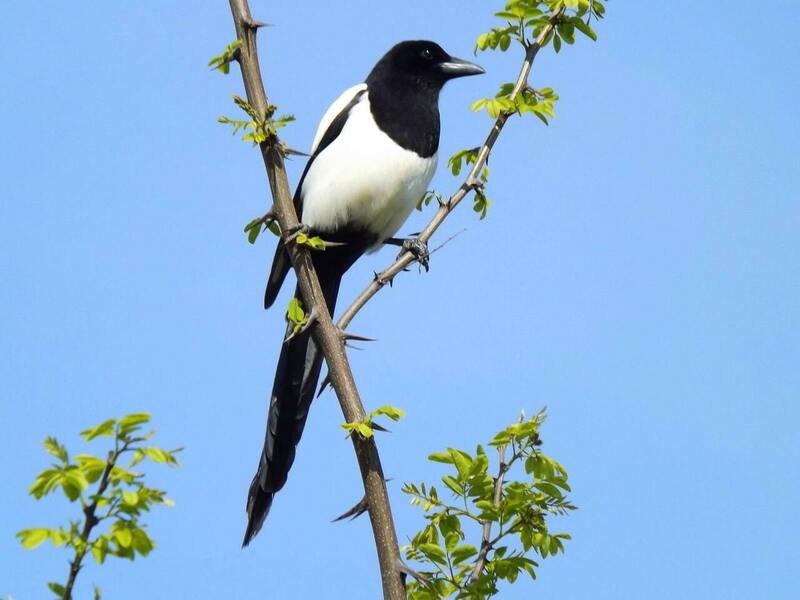 Birds such as jackdaws, crows and magpies can damage thatched roofs by pulling out straws. Shooting of certain pests can only be actioned under license. Birds of prey are sometimes employed as deterrents as are dummy birds of prey. The latter will require occasional moving to reduce the pests being accustomed to their presence. Insect pests such as wasps and flies must be dealt with appropriately – and with care. Hornets for instance are less aggressive than wasps and of course we want to protect our honey bees so relocation would always be a preferred solution in dealing with them. 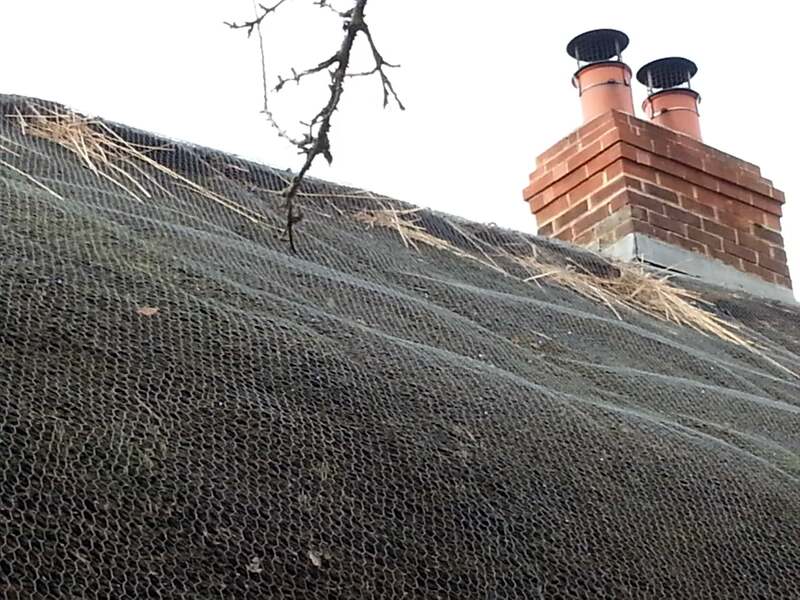 When dealing with thatch pests, there is often more than one way to achieve a similar result, it sometimes can be a case of trying different things to get the best solution for your problem. Find Pest Control Specialists on our Thatch Directory.